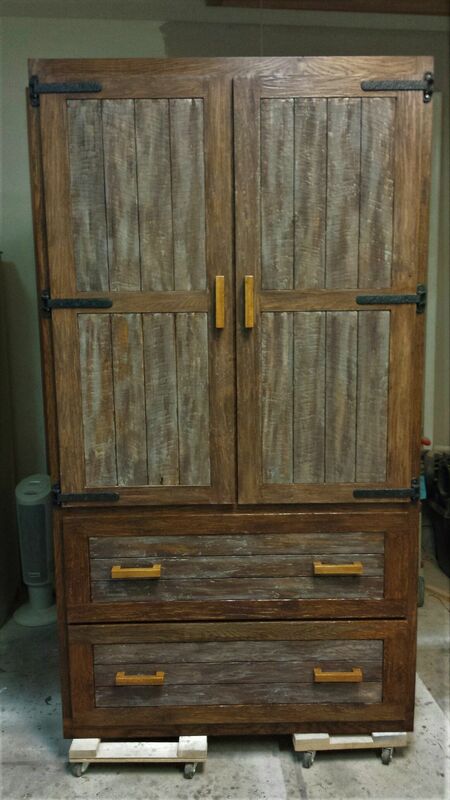 This beautiful kitchen pantry is constructed of solid oak and given a hand hewn look. 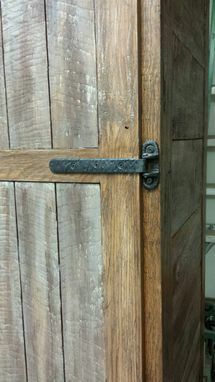 Multiple stains were used to give the wood an aged appearance. 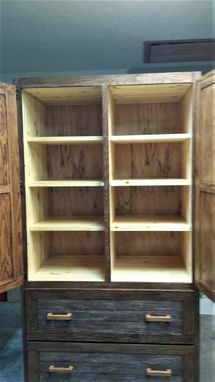 Interior and shelving is 1" thick yellow pine and drawers are constructed of 3/4" yellow pine. 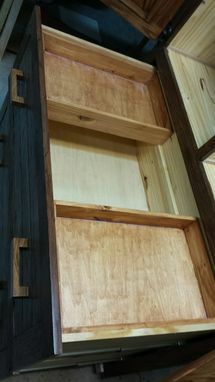 Drawers feature heavy duty ball bearing slides. Cast hinges in an old timey design make this a piece of furniture you will love to have. 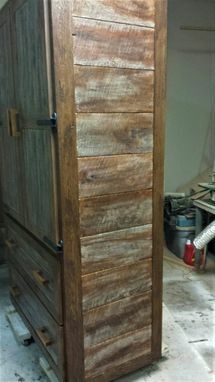 This one measures 46" width x 84" height x 24" depth.